Maybe you’ve spent the day outside in the hot summer sun. Or, maybe you’ve been drenched in sweat after physical activity. Nobody questions a sign of thirst as a potentially harmful craving or addiction. Thirst is simply a sign from your body that you need more water. And because water is considered “healthy”, you never think twice about it. It’s just a natural response to a physiological need. Well, the truth is that sugar cravings are no different. However, when it comes to sugar and other foods that are often looked upon negatively, it’s easy to blame the food, even when it’s entirely unwarranted. Cravings are simply signs that your body is missing something, even if it’s something you might not believe to be “healthy”. Ever wonder why women crave certain foods like salt, sugar, and/or chocolate pre-menstrually and during pregnancy? Or, how about why diabetics oftentimes crave sugar even though their blood sugar is elevated? I’ll show you why in just a second. There are all kinds of illogical theories out there regarding sugar cravings. Some people have been led to believe that their brains are somehow just wired the wrong way. Some have been led to believe that they just lack the willpower to fight their cravings. Some have even been led to believe (even more illogically) that sugar cravings are the result of other factors beyond their control, such as Candida. 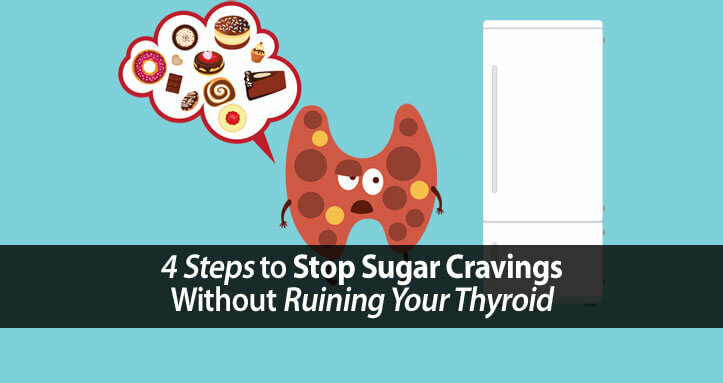 Sugar cravings are common with hypothyroidism because hypothyroidism sufferers are very prone to hypoglycemia and insulin resistance (diabetes), both of which leave your cells starved of sugar. You require thyroid hormone (T3), sugar, and insulin in order to store sugar in your liver. And storing sugar in your liver is essential for preventing and protecting yourself from hypoglycemia. Because hypothyroidism sufferers can’t store sugar, this makes you prone to hypoglycemia, or low blood sugar. Your cells survive by metabolizing sugar. And more importantly, your brain is the largest consumer of sugar in your body. Without adequate sugar available to meet your brain’s requirements your brain can’t function. It’s when you don’t meet the demands of your brain and cells that the real problems occur, which you’ll see in just a minute. But first, what about diabetics? Why would a diabetic crave sugar when their blood sugar is elevated? Diabetes is not a disease caused by sugar. It’s a dysfunction within your body that prevents you from delivering the sugar in your bloodstream to your brain and cells. If you stop the flow of water through a river, it’s going to build up and pool. The same goes for your blood sugar. If you can’t deliver sugar to your cells, it’s going to build up in your bloodstream. So, while many blame sugar as the cause of diabetes, nothing could be further from the truth. Sugar cravings occur when your brain and cells are starved of the sugar they need to function. And ignoring those cravings can actually be dangerous. I recently spoke to a new client who long believed that her sugar cravings were at the heart of her health concerns. …all because she was ignoring the bigger and more important issue that her body had been trying to tell her all along. Many hypothyroidism sufferers are being told to avoid all sugar, ignore their sugar cravings, and that they will eventually resolve themselves. While this may help to decrease your sugar cravings, it comes at a significant price of your thyroid health. We’ve already covered that hypothyroidism leads to hypoglycemia and low blood sugar. But what you might not know is that hypoglycemia directly stimulates ACTH production by your hypothalamus, which directly activates your adrenal glands to secrete the stress hormones including cortisol and adrenaline. In other words, if you crave sugar and ignore those cravings, then you’re forcing your body to overproduce stress hormones in order to raise your blood sugar. 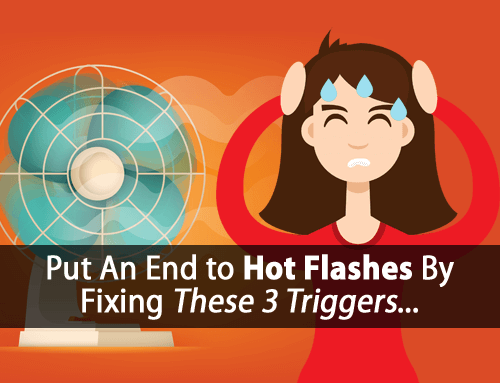 And those stress hormones directly block your thyroid function at multiple levels. 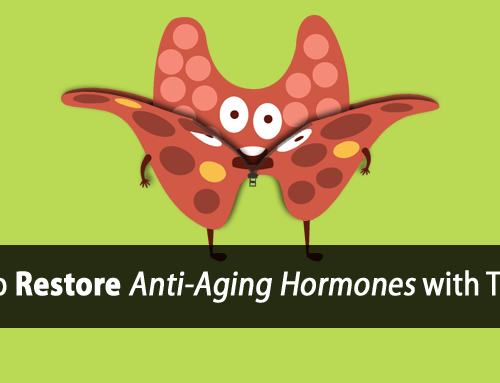 …but only after the stress hormones have already ruined your thyroid health in the process. If sugar cravings are caused by hypoglycemia and an inability to efficiently delivery sugar to your cells, then it’s only logical to do what we can to correct the issues at hand. 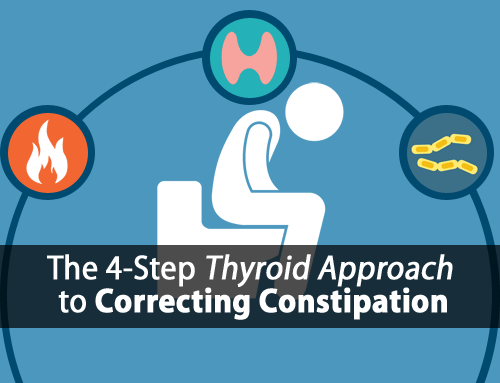 So, here are four simple ways to do just that while improving your thyroid function at the same time. Many practitioners are suggesting that eating protein is more effective at regulating blood sugar than carbohydrates. But, that’s a big mistake. Eating protein alone actually has the opposite effect, and causes an insulin rush, which can lead to a blood sugar crash, as Dr. Raymond Peat points out. Eating protein alone, causing your blood sugar to drop lower, results in the same activation of your stress response and suppression of your thyroid. It’s essential to eat protein with carbohydrate to prevent protein from disrupting your blood sugar even further. Many practitioners are also suggesting that carbohydrates should not be used to regulate blood sugar because they also stimulate insulin. But that’s a very poor assumption because not all carbohydrates are created equal. Starches like breads and pastas are made up of entirely glucose, which CAN strongly stimulate insulin and result in a drop in blood sugar. This goes for complex carbohydrates too. However, using fruits and sugars that contain fructose work very differently. Fructose actually inhibits the insulin response caused by glucose. In other words, using fruits and other healthy forms of sugar, like honey, don’t cause an insulin surge or your blood sugar to crash, and can be used very effectively to help regulate blood sugar. It is important to include fat in your diet. And the type of fat you eat is extremely important, as some directly suppress your thyroid at all five levels of your Thyroid Hormone Pathway. But, fats can also be used to slow down your rate of digestion. So, those who struggle more with regulating blood sugar can use more fat in their meals initially to help sustain blood sugar for longer. You can also use more or less fat at specific meals for more therapeutic effects. For example, using more fat at a meal before bedtime can help sustain blood sugar longer during sleep. This can help prevent the extremely common drop in blood sugar most hypothyroidism sufferers experience during the night which can cause insomnia and night waking. (Note: Want to sleep better and longer throughout the night? Check out this article on “How to End Insomnia and Wake Up Refreshed with Hypothyroidism”). Studies have shown that even sucrose (table sugar) effectively stops your body’s thyroid-suppressive stress response and normalizes healthy energy production. Yet, the research also tells us that regulating your blood sugar and keeping your stress response low has more to do with the frequency of sugar consumption and less about the amount. So, using fruit and other healthy sugars more frequently throughout your day is always best. Using these four quick and simple recommendations can help improve your blood sugar handling and thyroid function very quickly. If you’re not using them already, then you need to get started now. You see, there’s a lot more to restoring your thyroid health than most realize. But that doesn’t mean it has to be difficult by any means. That’s why we’ve taken this complete and comprehensive approach and broken it down into a simple step-by-step formula. That’s how we help our clients overcome their thyroid issues for good. Here’s why this systematic approach works so well. You fix every underlying cause of your thyroid issue… you just need to properly address every part of your Thyroid Hormone Pathway. You put an end to the continuous hypothyroid cycle that you’re trapped in… instead of watching it worsen to the point that it becomes unbearable. You’ll correct the underlying issues responsible for Hashimoto’s thyroiditis… even if you’re not sure if you have it. You’ll regain control of your health and can and live without limitations… which is something that most only dream about. You don’t have to be a medical student to follow it… in fact the less misinformation you’ve been exposed to the better. 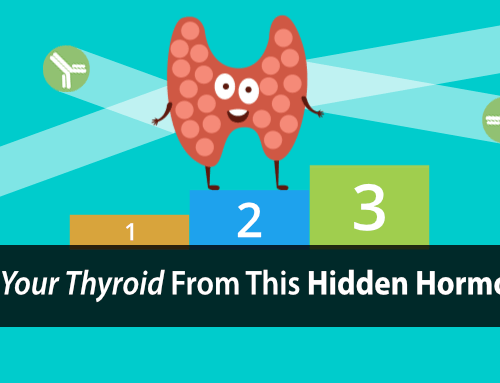 There are a lot of books and advice out there that focus on a single aspect of thyroid health. And others that help you make the best of a life limited by thyroid issues. But this daily protocol shows you how to start to start getting real results. It’s a super simple way to start every day right and full of energy. Click here to get started with your 3 Food Triple-Thyroid-Boosting Daily Protocol. 1. Lindemann , Bella. “6 Scientific Reasons We Crave Sugar (And How to Beat It).” Bella Lindemann, 1 Feb. 2017, bellalindemann.com/why-do-i-crave-sugar/. 2. DeFigio, Dan. “Hypothyroid Disease and Sugar Addiction.” Dummies, www.dummies.com/health/nutrition/hypothyroid-disease-and-sugar-addiction/. 3. Everyday Health. “Quitting Sugar Saved My Thyroid: Sarah Wilson’s Story.” EverydayHealth.com, Everyday Health, 13 Jan. 2014, www.everydayhealth.com/columns/my-health-story/quitting-sugar-saved-my-thyroid-sarah-wilsons-story/. Great thanks for this article! In my opinion this is maybe the best article about hypothyroidism I have read. I personally suffer from symptoms of low blood sugar – and especially at nights. I have sugar cravings also during the day. In general this article clarifies my relation to sugar which has been quite difficult. It’s so easy to blame yourself for giving up sugar cravings by taking a piece of sweet thing! Now I know which sugars are the best and pay attention to protein and fat. But we are not worried about a fasting glucose of 112. For many clients I prefer to keep it between 100 to 110. Fructose? Haven’t we been widely told fructose ravages the liver and causes unwanted fatty weight gain? Hi John, it’s important to understand that we are not talking about high-fructose corn syrup. There is no association between fruit intake and weight gain. Those who eat more fruit tend to be leaner. Thanks for your reply, Tom, that is indeed very interesting. I have been sharing links to your site and appreciate what you have been doing. This could be the answer to my own hypothyroid saga. I also appreciate how you presented your video. It’s one of the only ones like that I sat all the way through. So that is why in one recipe you give there is beef combined with honey and apple? Because of the mixture of protein ( beef) and honey, apple (sugar)? Is that right? Hi Nadine, all of our meals are purposefully balanced with respect to carbs, proteins, and fats to achieve the best ratios for supporting optimal thyroid function. Hi Tom, I crave (like a crazy!) not so sugar but starches – bread, pastry, even raw yeast dough. Why? I have had Graves that went to Hirshimotos and radiated my thyroid and struggle yo find a right adustment. This was perhaps one of the best articles ever.